Tarot is a deck of playing cards used from the mid-15th century in several places in Europe to play a number of different card games. Since the late 18th century they have been more commonly used by mediums for divination. The cards are typically used to gain insight into past, present and future circumstances by asking a question to the cards. Each card's basic meaning is altered by the position it is in once spread out by the reader, by its orientation, and by the cards that are surrounding it. 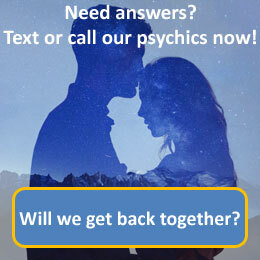 Tarot card divination is particularly suitable for a phone reading as it can give the reader a quick and easy way to get answers to your questions, problems and concerns. If there is a specific question you would like answered by the reader then please don’t hesitate to ask them at the start of your reading.